Escape Dundee with the kids! 60 minutes, an immersive escape game experience, mind-bending puzzles...and a surprise or two along the way! Choose a game and come to play at Scotland's first live escape game company! 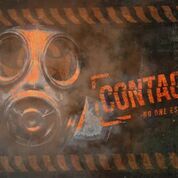 CONTAGION - You've been infected with a virus. You have two options. Sit around and let it take you or redouble your efforts and retrieve a vaccine from an old medical facility. This is not your only problem. After retrieving the vaccine you must find a way to defeat the lock down on the laboratory. The quarantine timer is set to 60 minutes. WITCHCRAFT AND WIZARDRY - Welcome to the school of witchcraft and wizardry where there has been some funny goings on. In a classroom full of tricks, puzzles, challenges and spells, you must solve them all to escape the grasps of the evil professor and graduate with a distinction! 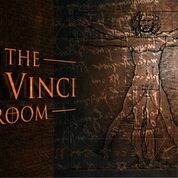 THE DA VINCI ROOM - Primarily focusing on code-breaking, symbolism and association problems The Da Vinci Room will offer an interesting challenge for new and returning players alike. Take on the role of thieves trying to recover the Holy Grail for the greater good. 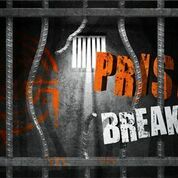 Does your team have what it takes to Escape?